Rumor has it that most of CFA candidates are confident about making a success of their CFA exam. Earning the CFA designation is important for them because it embodies everything they could possibly wish for. Personal fulfillment. Professional expertise and esteem. And last but not least, career advancement. Are your aspirations pretty much the same? Wouldn’t you like to become a knowledgeable professional whom clients trust, colleagues depend on, and whose salary nicely reflects all the possessed skills and competencies? However, we’re here not to daydream but to get your feet back on the ground. 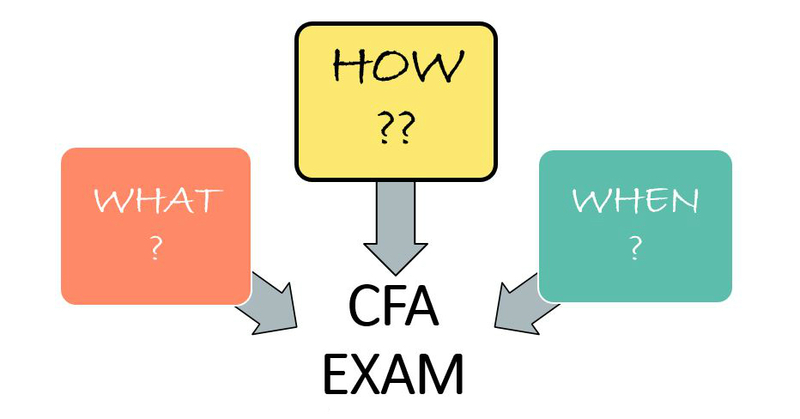 You still have your exam ahead of you and it’s not so easy to pass… You must bring it to your head unless you want your CFA exam day to be your Judgement Day! Lo and behold! There are 4 beasts you need to beware. All in white, there’s OVERCONFIDENCE. Triumphant and foolhardy. Red ‘cos furious is DISORGANIZATION. Fighting back at you whenever you’re up for a set-up. Disguised in black is PROCRASTINATION. Creeping up on you like a shadow. Pale, acting invisible, is IGNORANCE. The last nail in your coffin. Mounted on the apocalyptical horses, the 4 beasts, each capable of shattering your dreams of success. Good for you! But I must insist. The beasts stay hidden and lurk around just to see if they can do any harm. Not always do they make up a foursome. But whatever their way, solo or in the quartet, they remain equally dangerous. It is your duty to identify if you could possibly be prone to their secret (or perhaps quite overt?) activity and sabotage while you still can. There’s an easy way to go about it. Am I confident I’ll pass each level of my CFA exam if not in the first – then certainly in the second – trial? Have I organized my CFA exam prep allowing for roughly 300 hours I need to spend studying? Have I ever failed to follow my plan and do I continue to do so? Do I know what else (besides CFA curriculum) I should pay attention to so as to be well-prepared for my exam? Have you scored at least one tick? YES? Then, you should definitely keep on reading. Many have thought they will manage. Even if they failed to study systematically. They just knew they were going to be OK. Their plan was to study a bit whenever they found some time and then to cram for several weeks before the exam (very efficiently!). They thought they would remember more and better that way. But the CFA exam is not that kind of an examination. 25% of registered candidates do not show up on the exam day. The number is too big for everyone to be in bed with the flu. Let’s face it. They chicken out, give up their exam fee payment (of more or less $1000) and probably find it hard to accept the truth. They were reckless when they were supposed to be studying and when they noticed that, it was already too late. How Is Your CFA Exam Prep So Far? You live through it without any clear agenda? No more uncontrolled exam prep! 300 hours to be dedicated to studying (for each level). That’s your reality. All this time needs to be arranged properly. Otherwise, it will never add up. And weekends are usually not enough. You know that, don’t you? What you need to do is find the little specks of free time in your working week and use these to study as well. You’re telling me you’ve never been a fan of planning and your way is to take what the day brings? Fine. When you’re done with your CFA exam let your life unfold the way it wants. But for now, you must learn to be disciplined. You must find room for your CFA exam prep. Alongside your work, family, friends and hobby. Actually, it’s best if you make your exam one of your hobbies for the time being. You can’t do that? Then, make it your duty. Whatever’s your choice, exam prep has to be on your calendar every other day or so. What’s the date today? How long before the exam? You still have plenty of time, right? What does your daily agenda look like? All booked up, I bet. Work. Appointment at the hairdresser’s. Dinner with your family or friends. Wait a minute. Is that a FRA reading scheduled in the evening. But you’ll be tired. No guarantee you’ll do that. And besides. What’s the point in studying if it’s to be inefficient? Probably, it’s best to move it to another day. Perhaps tomorrow? No. Too full. Putting things off, it’s a tendency we all have. Especially the things we do not like or do not expect to matter until some time later. CFA candidates tend to delay starting their CFA exam prep by weeks. Then, when they finally start it, they postpone particular tasks from day to day. And you also say you have no time or you are too tired? But why not put off the hairdo change instead? You often postpone studying to the next day? 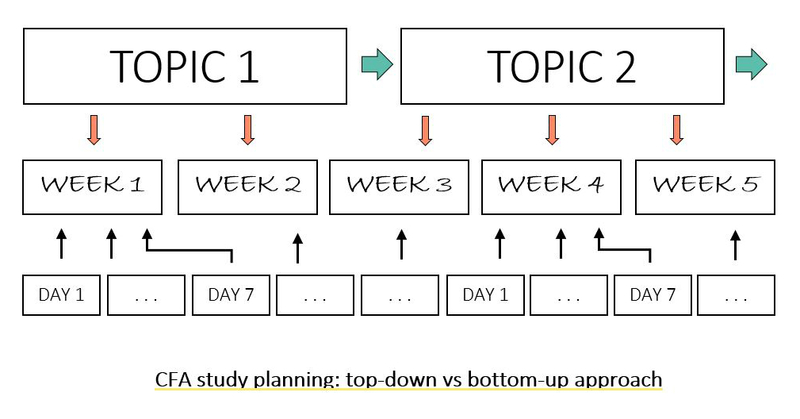 No more unexecuted study plan! The most tricky of all. Because how do you know you don’t know something? You simply do not now until you find out. So, here’s what you should be aware of. Good exam preparation is not only about studying exam curriculum. Although it is certainly crucial, an equally important thing is to get familiar with various exam-related details such as the focus and form of the exam, topic weights, exam regulations or grading policy. The next point is that it takes a lot of practice to get ready for the exam. If you do not solve exam-type problems regularly and exercise your math and calculator skills, you may not be able to congratulate yourself on a well done job after your exam. Another key aspect is that time and memory are everything but your allies. Time passes quickly and so the exam always comes sooner than expected. As for memory, our learning capacity deteriorates as we grow older and – thus – things need more time to sink in. You already studied a bit but do not remember much? And the bottom line is that the CFA exam is not only an intellectual challenge. It’s also a physical and an emotional one. Both the preparation (300 hours) and the exam (2x3 hours) are strenuous. You have to find a way to keep yourself determined and motivated to work continuously for the gains deferred in time. Dangerous they are, indeed, the 4 beasts! But they’ve been exposed now. 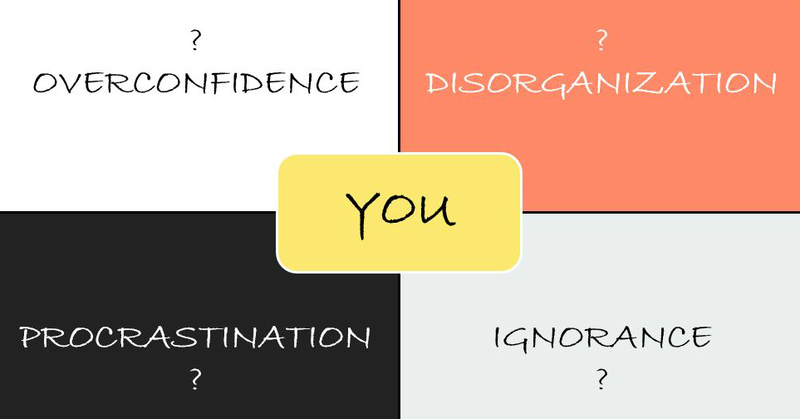 You’re ill-advised by your OVERCONFIDENCE. 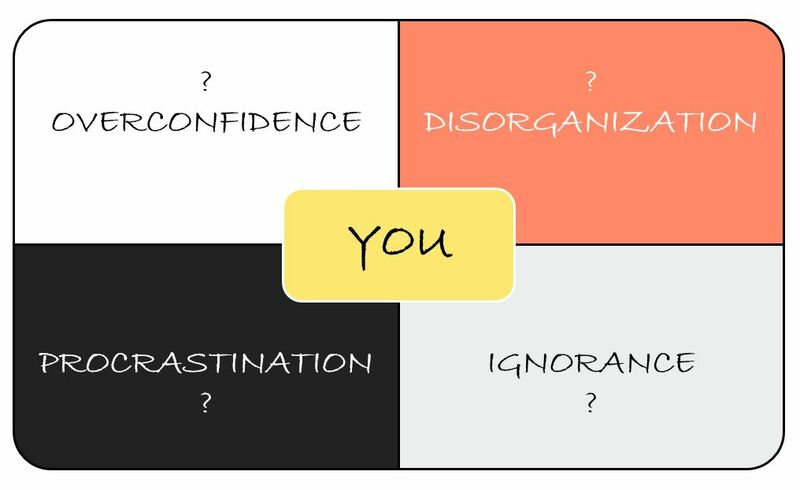 DISORGANIZATION means chaos and chaos means failure. PROCRASTINATION is our alter-ego. You’re not an exception here, I guess. PS. You may feel this post insinuates there’s a beast living inside you. Please don’t take it too personal. It’s just a creative way of telling you there’s the dark side to your CFA exam preparation that can be powerful enough to turn it all to pieces despite your best intentions and abilities.